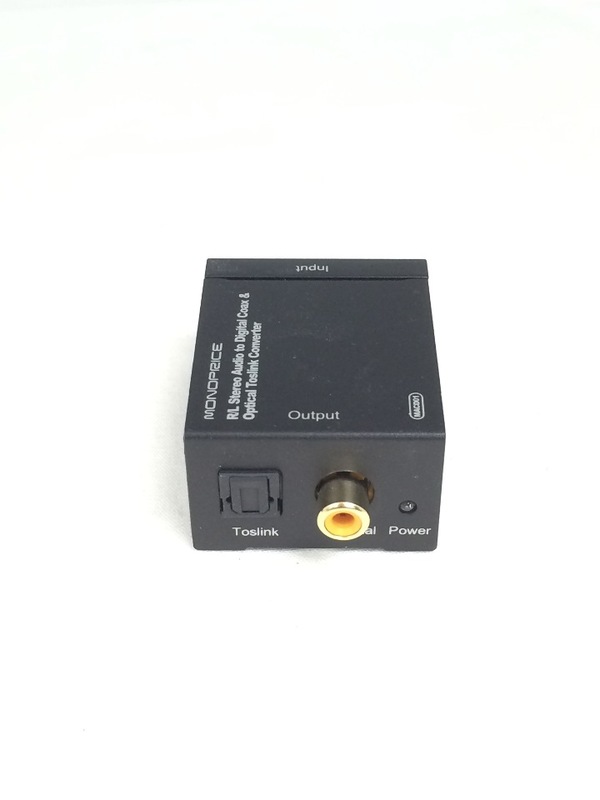 Just get the Monoprice Analog to Digital Audio Converter and bring your old equipment into the digital age. 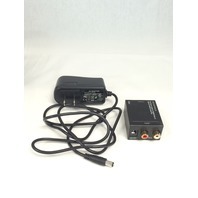 This compact little converter has a set of rightleft RCA analog audio input jacks. 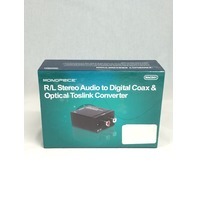 It will simultaneously convert the analog audio into both Digital Coaxial and Digital Optical Toslink Audio signals. 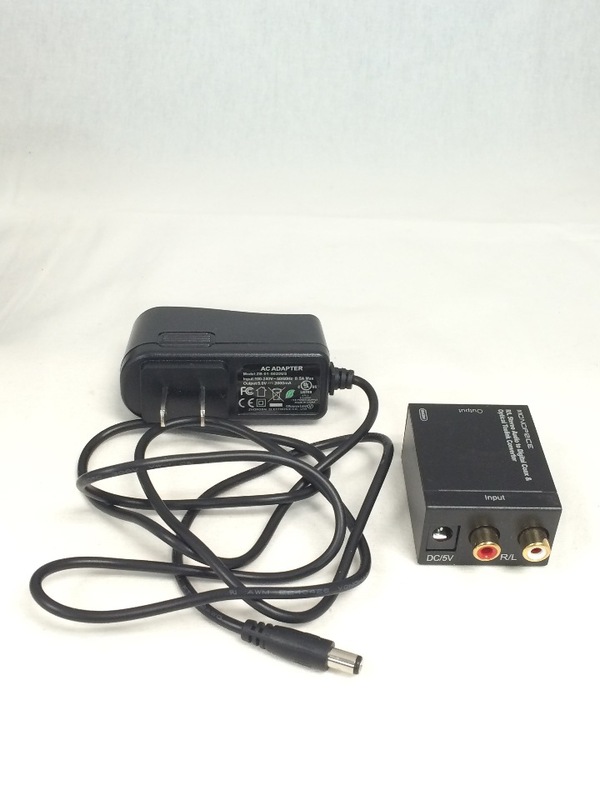 You can connect either or both outputs to an appropriate digital audio input on a TV AV receiver or anything else. 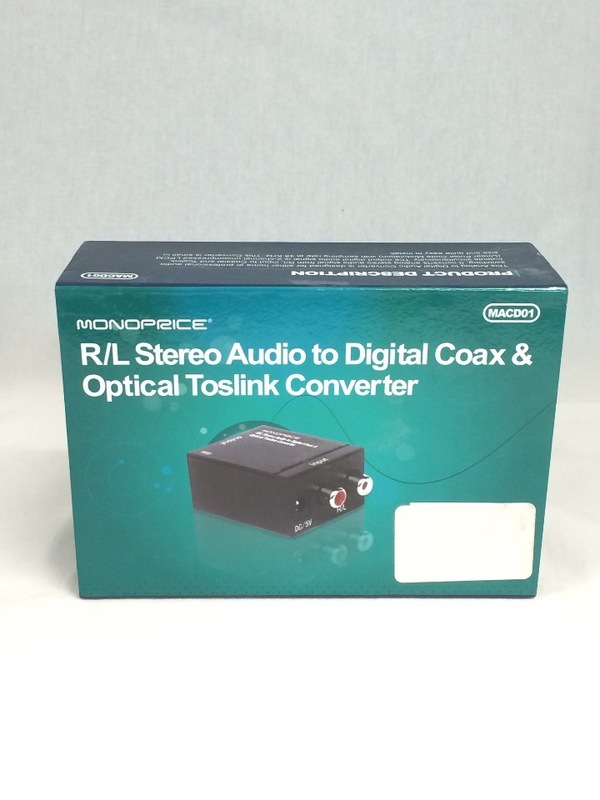 The converter has a digital sampling rate of 48 kHz and produces an LPCM stereo audio output signal. It is powered by a 5V DC power adapter which is included. All the connectors are gold-plated for smooth corrosion-free connections.Specifications. Input Audio Signal - Analog Stereo. Input Audio Connectors - RL RCA female. 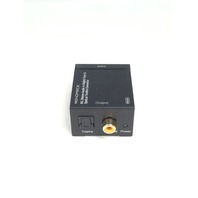 Output Audio Signal - 2-channel LPCM. Output Audio Connectors - 1x Digital Coax RCA female and 1x Optical Digital Toslink. Digital Sampling Rate - 48 kHz. Input Power Requirement - 5V DC 2A. AC Adapter Input Requirements - 100~240V AC 5060Hz 0.5A Max. Power Consumption - 0.5 Watts. Dimension - 1.6 x 2.0 x 1.0 in.